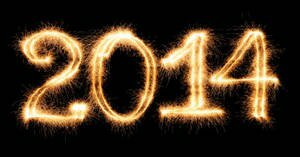 We're less than 10 days into the new year, and there's already tons of things happening in the online casino world. At the Miami Club Casino, they've already shown why they are well-known for their big tournaments with a $2,013 freeroll that happened during the first week of the month. The tournament was on the Winter Wonderland video slot which is a big favorite around this time of year. They'll have even more freeroll tournaments coming up soon enough, so stay tuned to see what else they have to offer. Another big freeroll tournament is going on right now at Desert Nights and Sloto Cash. To celebrate 2014, they're giving up a $2,014 prize pool in this event which is being played on the popular Pay Dirt video slot. There is no entry fee for your first play in this tournament, but you can rebuy and try again for $1.20 a shot. This tournament lasts until January 11, so you still have plenty of time to get in on the action and try to cash in on the $2,014 in prizes that are going to be given away to celebrate the coming of the new year. There have already been a couple of big slot releases this year as well. Realtime Gaming has released the Orc vs. Elf video slot which is a 25-payline game that features a great fantasy theme. If you're a fan of Lord of the Rings or the recent movies based on The Hobbit, then you'll absolutely love Orc vs. Elf which happens to be Realtime Gaming's first 3D slot. The main bonus feature of this game is called the Battle Bonus Round, and it features a big fight between two types of creatures that absolutely hate each other: orcs and elves. Rival Gaming has already released a new title as well, and it's called Silver Unicorn. This game was released in late December, and it has 20 paylines. This game also has a fantasy theme, but it's more along the lines of fairies and that sort of thing than Orc vs. Elf mentioned above. There are quite a few features in this game that give you a lot of value, and the expanding wilds will give you a good shot at hitting multi-line payouts.